It may be the only hint of sleep you'll find at a slumber party! Sleeping bag invitation has pull-out sheet that reveals party information. 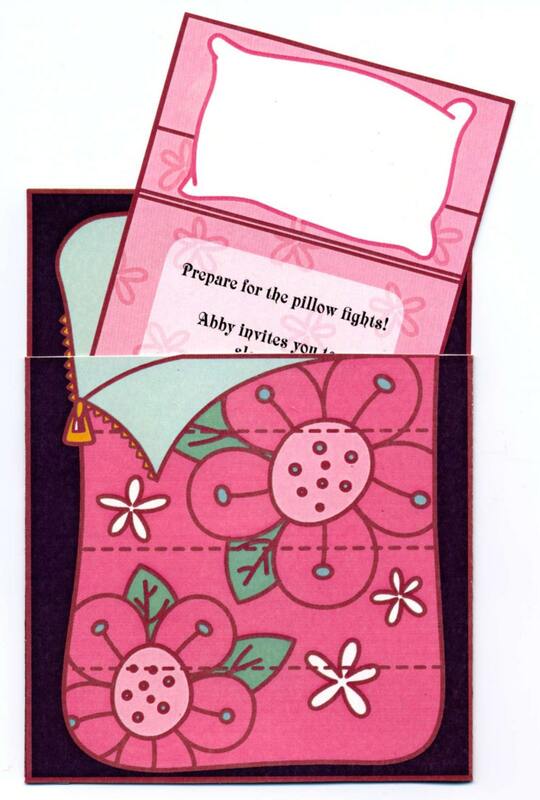 We toss in a cute pillow thank you card and eye mask name tags, too. Good Manners Guide for every well-behaved child is included. This is a printable PDF that makes invites, thank you cards, and name tags. You provide the paper and envelopes. Easy to customize and with the right design program I was able to modify it with picture and it turned out the way I wanted. Just perfect for our little Juddah. Not complicated to assemble, it's easy once you have figured it out. Sure the recipient will gonna love this coz as I did! These look fantastic and are sure to impress. However, they are fairly fiddly to make. It took me about 2hrs to do 10 invites so if you have lots to do these may not be the best choice.